Added new Bundesliga Goal Sound for PES 2019 PC Game. This mod will work whenever you scored with any Bundesliga Teams. 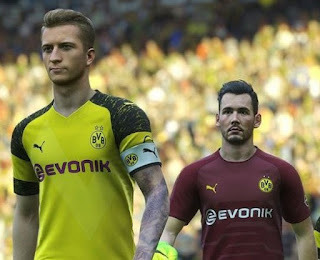 PES 2019 Bundesliga Spund Patch by Efffenberg works best with PESGalaxy Patch 2019. To use PES 2019 Bundesliga Spund Patch by Efffenberg you need EvoSwitcher to be installed in your PES 2019 game.